Fetching an Indian Railways ticket at high priority or during an emergency can be next to impossible. For the benefit of passengers who plan to travel at the last moment, Railways provides the facility of Tatkal Railway Ticket booking. It is not easy to book a confirmed ticket from Tatkal Railways Booking System. There are only few seats available for Tatkal booking and they get exhausted in few seconds when the Tatkal booking opens. So, one must act fast, in order to get a confirmed reservation. Tatkal booking starts at 10 A.M in the morning and one can book a ticket, one day prior to the date of journey from the originating station. The new Tatkal Ticket Booking Timings have been implemented from 15 June 2015. Under the new system, time has been distributed for booking Tatkal AC tickets between 10 AM to 10:30 AM and Tatkal non-AC tickets between 11 AM to 11:30 AM. This would reduce the load on the ticketing site and also the booking window. 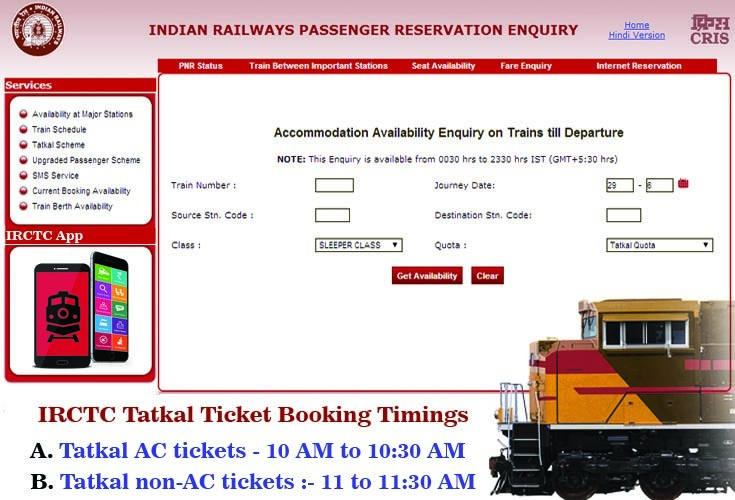 All types of ticketing agents including IRCTC agents have also been excluded from booking all kinds of non-Tatkal tickets, 30 min from the opening of booking windowie from 8 to 8:30 AM for general classes, from 10 to 10:30 AM for Tatkal AC tickets and from 11 to 11:30AM for Tatkal non-AC tickets. IRCTC is continuously implementing several checks on the online booking system in order to facilitate genuine users to get reservations when required. IRCTC has restricted the booking of only 2 Tatkal tickets in a day by an individual using his user-id from 8 AM to 10 AM. Tatkal charges depend on your category and base fare. For sleeper and AC classes the Tatkal fees is 30% of the base fare. This change in Tatkal booking timings has been implemented in order to facilitate hassle free booking by reducing the load on the server. At present around 10,000 to 12,000 tickets are being booked through IRCTC online website at peak hours. By staggering the timings it will help to reduce the load and also distribute the load on the system. IRCTC has made it very easy to book emergency Tatkal tickets; all that is needed is a high speed internet connection, an identity proof, IRCTC online account and a debit/Credit card to make a payment. IRCTC App- Your Trusted Companion In Rail Journey To Any Place In India. 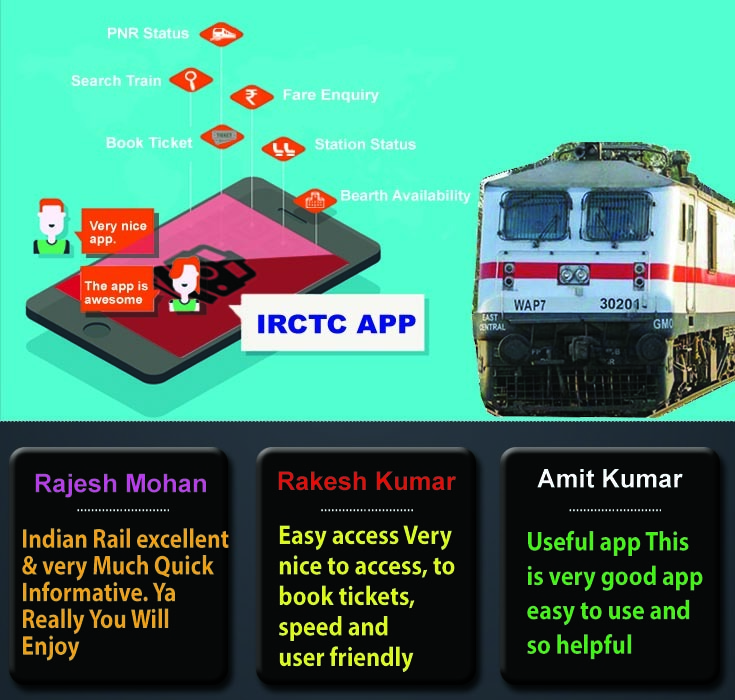 IRCTC Train Infomation And Guide App. IRCTC Ticket Booking App- Get The Convenience Of Booking Ticket Anywhere. IRCTC Indian Railway Guide App. Indian Train Guide And Info App.